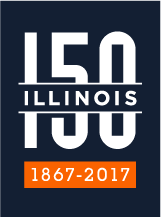 Faculty and staff at UIUC address a number of issues pertaining to the nature, evolution and behavior of the lithosphere at a variety of depths and temporal scales.Prof. Steve Marshak uses field studies to address issues pertaining to the origin of mountain belts, the character of deformation in continental interiors, and the interpretation of mesoscopic structural fabrics. Recent projects have addressed the origin of dome-and-keel structure in Archean and Paleoproterozoic crust, the tectonic evolution of Neoproterozoic orogens in Brazil, the three-dimensional structural architecture of fold-thrust belts, and the kinematic interpretation of rock cleavages. More recently, he has been involved in projects pertaining to neotectonics in continental interiors. Prof. Willy Guenthner works in thermochronology, which utilizes advanced geochemical measurements to trace the thermal histories of certain minerals and reconstruct the tectonic uplift and denudation rates of mountain belts. Stephen Hurst works on the tectonics of rifts and oceanic spreading centers. He is interested in the interaction of tectonic deformation and magmatism during crustal formation. Alison Anders and Jonathan Tomkin study aspects of the interaction between tectonic and erosional processes. Prof. Lijun Liu uses geodynamic modeling to understand subduction processes and geological evolution. Prof. Xiaodong Song uses seismic methods to image the structure of crust and upper mantle, and to understand the processes at depth that drive continental deformation and earthquakes.